The answer in a word: A lot! Any carpenter and woodworker is familiar with the router’s multi functional abilities. The versatile tool comes in handy for all kinds of odd jobs around the house and for full-blown projects, both functional and decorative. 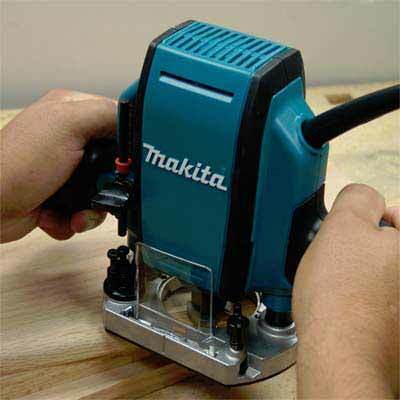 It’s a fantastic power tool to have not only because of it is portable but also because it can be used across a wide range of tasks such as cutting, trimming and shaping on wood, plastic, metal and laminates. 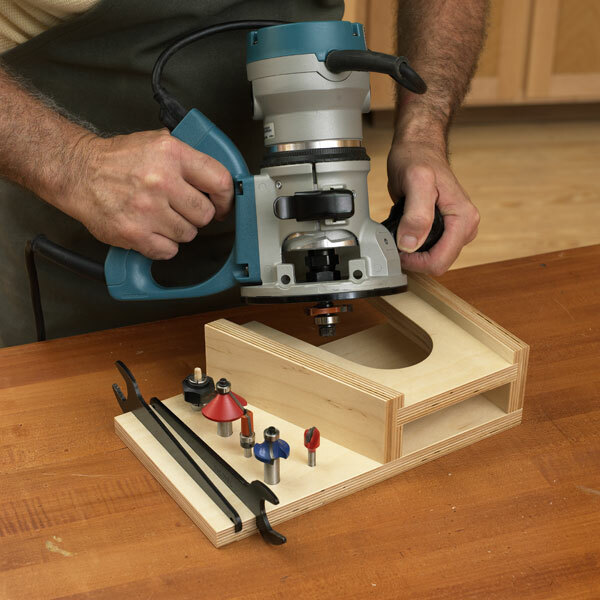 It’s not without reason that woodworkers the world over rave about the wood router as the single most versatile woodworking power tool in their toolbox. The most basic of wood routers are used to “rout out”, or hollow out, a groove or a hole in a piece of wood, metal or plastic and give a smooth finish to edges, curves, contours and precision holes. Tasks like cabinetry and decorative molding have woodworkers reaching for their wood routers instantaneously. There are literally more than a hundred types of router bits available, all styled for a variety of patterns and functions. Creating a precise smooth edge on a thin piece of wood can be extremely tricky, but using a router will ensure a smooth finish to your edges every single time. Routers can be used to make even number of cuts and level cuts on edges that are straight or curved without any problems, and can easily replicate the same cuts on multiple pieces of wood. Any good woodworker knows it is the end result that matters, and without smooth edges and perfectly finished sides, a wood piece is hopelessly redundant. Therefore, a wood router ensures a perfect finish to your wood work so your pieces are honed to perfection. One of the most awe-striking abilities of a router is the creation of intricate moldings for projects that are decorative in their purpose. Using a combination of different bits, you can apply your router to carve anything and everything from simple round molding to more perfectionist Roman ogee on doors and windows or shaping beautiful cuts into decorative designs on ornamental boxes and smaller esthetic pieces. What is most interesting is the ease of access that a router provides. What would’ve taken weeks to hack away and carve with careful thought, can now be completed in a matter of hours, and better yet, completed with finesse. A slot or trench used to support shelves invisibly in a book case or a cabinet is called a dado. 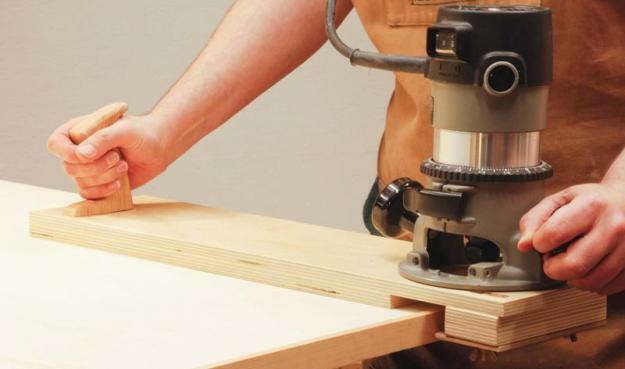 The strongest method to affix shelves: A dado can be cut from a router using a straight bit. Cutting common types of dadoes seem like a piece of cake when using a wood router; especially a through dado, which runs along both edges of a surface, while the ends are left open; and stopped or blind dado that ends before either one or both the cuts meet the edges of the surface. Dadoes are indispensable in tasks that involve cabinetry and heavy work involving wood panels and shelves around the house, and without a wood router to help ease your burden, you might as well just give up and place your shelf items on the floor. Rabbets are usually cut into the back edges of cabinets and the sides of bookshelves, in the form or a recess or a groove that cuts into the wooden edge. Rabbets are also found helpful when creating doors and casement window jambs, and can be combined with a dado to form a sturdy joint. Most wood routers accommodate a variety of rabbet bits, which can then be used to cut grooves of the desired width. A clean rabbet can be the most distinguishing feature of a simple piece of wood work, and of course is extremely functional in its purpose. Your high shelves and kitchen cabinets all speak volumes about the absolute indispensability of clean rabbets that hold them in place. Wood routers are extremely useful when cutting patterns, grooves and designs across multiples pieces of wood. For example, you can use the router to trace the outline of the original piece of wood, say a broken table or any other wood piece, and it will re-create it as many times as you please. Routers are also used on flat pieces of wood to trace and recreate delicate designs and intricate lettering. Part of the charm of using wood routers is that you get to recreate the same original design many times over, and all so effortlessly. Wood pieces that are carved in beautiful styles and templates need only be traced once, and your workload is made that much easier the second time round. A wood router when coupled with the right jig can cut just the right amount of space for recessed door hinges or lock faceplates. There is a reason why recessed hardware gives a smoother appearance and effortless operation. Without wood routers and their essential accessories, wood work involving door hinges and window panes would lack the perfect finish. And it is all thanks to this versatile tool that wooden hardware is often preferred with recessed characteristics. Routers make recessing these crucial hinges a delight, and there is no better way of creating sturdy, well-functioning doors and panels. Routers prevent splinters- the worst tragedy of wood work; for a smooth and efficient operation. The amount of work you can get out of your router is entirely up to you. Combining the right bits with the right piece of wood and positioning the router properly will give you a number of high quality pieces from simple pieces of wood. It is therefore crucial to learn the right way to use a router and to apply it to get the most out of it.